Who do you host your website with? How much does it cost you? I use TapaTalk, they build free forums/communities. 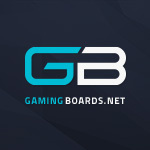 Well this is a ProBoards based site, it is TapaTalk compatible though I pretty much only come to the forum from my laptop so I don't bother with the TapaTalk mobile app. Personally I have a few web hosts. I host all of the images that I use for my forum posts through a Tumblr blog. I have a few small servers through my university that I can use for database debugging and other web dev related work; but it is a pretty small amount of service, and I'm not allowed to use it for private enterprise (school policy) so it really is just a debug tool. And I've got a GitHub account to host miscellaneous parts of my code portfolio. I'm with Hawkhost. I've been with them since roughly 2009. Follow me on Mixer! - 600+ followers! My girlfriend Shortie861 is amazing! I love you Nikki! My stuff is hosted on SkyNetHosting.net, Hostinger and Host Bunnies. Anyway, most of it is on Sky Net Hosting. OK, has anyone tried these companies? What did you think? Has anyone heard reviews on them? I have a few different sites with two different hosts. I'm currently managing a site for my Dad (a site powered by Wordpress) and that is hosted with InterServer. I used to pay $5 a month for that package but they had a special offer for Black Friday and I now only pay $2.50 a month. That price is locked so I will never have to pay more as long as I don't cancel that package. My portfolio site and my webmaster blog is hosted with USHost247.